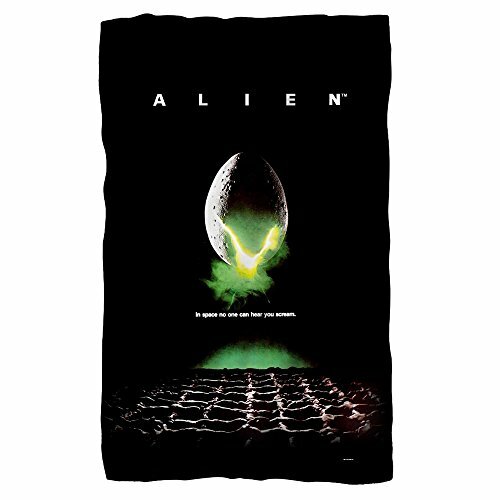 Alien Movie Poster 36"X 58" Fleece Blanket. Hand Printed in the USA using a Dye Sublimation Process that may create slight imperfections over seams and folds. If you have any questions about this product by Planet Caravan, contact us by completing and submitting the form below. If you are looking for a specif part number, please include it with your message. Warner Brothers National Lampoon's Christmas Vacation, Merry Clarkmas Micro Raschel Throw Blanket, 46" x 60"
Nightmare Before Christmas, "Dark Creep" Micro Raschel Throw Blanket, 46" x 60"